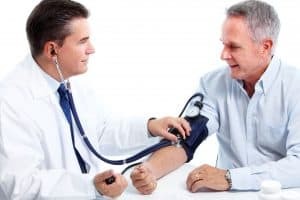 High Blood Pressure | Hypertension | How Is Hypertension Treated? We know that calcium and magnesium are 2 minerals that are responsible for healthy muscles. Does it make sense to you that deficiency of calcium and magnesium can be the cause of high blood pressure? I have helped people with high blood pressure with those 2 minerals and got great results. There are also many studies that support it. Both these calcium and magnesium participate in blood pressure regulation. It doesn’t mean that administering these minerals cures hypertension, it’s more complicated than that. For example calcium channel blockers lower blood pressure. Calcium also play an important role for the contraction of cardiac muscle cells. Magnesium is hugely important for many functions of the cardiovascular system, both on a cellular and more systemic level. So I agree with you in that those have important roles in maintaining normal functions of the cardiovascular system.